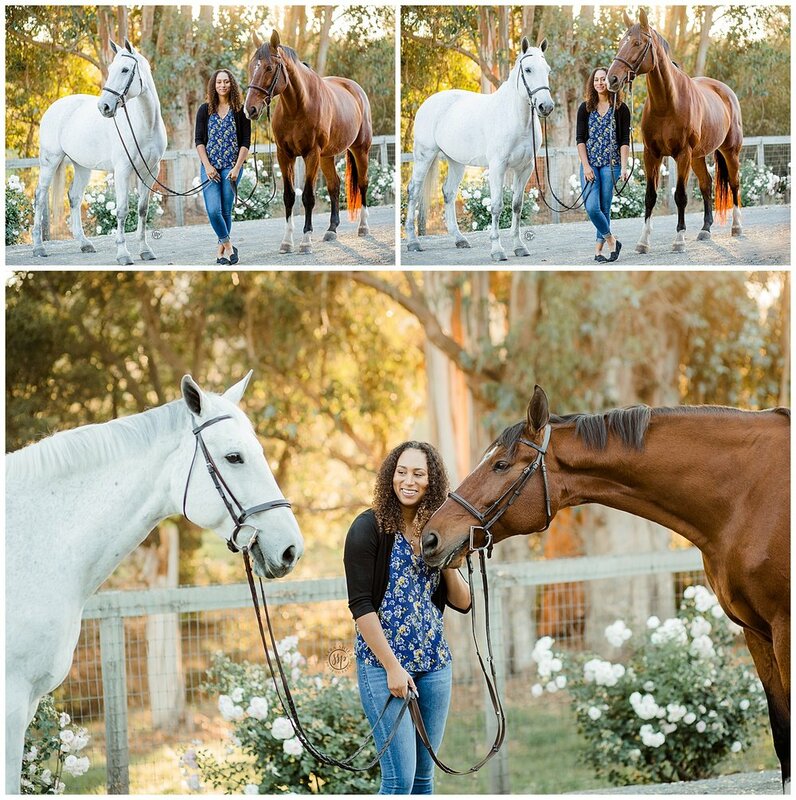 Alexis’ mom had contacted me during my spring trip about doing photos at Sonoma Horse Park, but they couldn’t quite figure out what was going on with Duke soundness wise so they decided to cancel going to the show and sadly our session. Totally made up for it getting to see them in October at sunset! 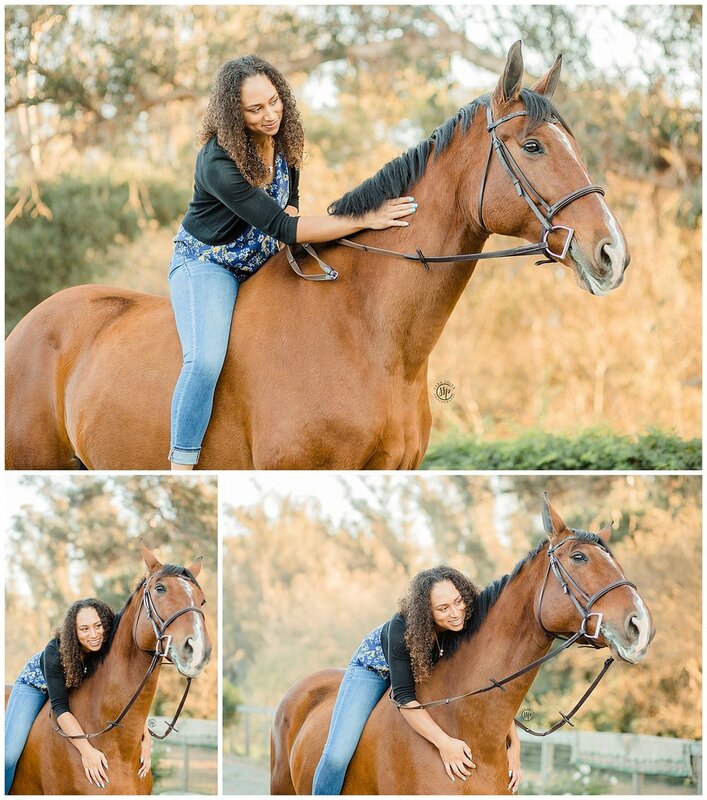 What was so funny is her mom emailing me going back and forth about the session, “Here we go from canceling, to retirement, to two horses!” So it didn’t surprise me that I got a big THANK YOU from her mom for working with them after having so much rescheduling! 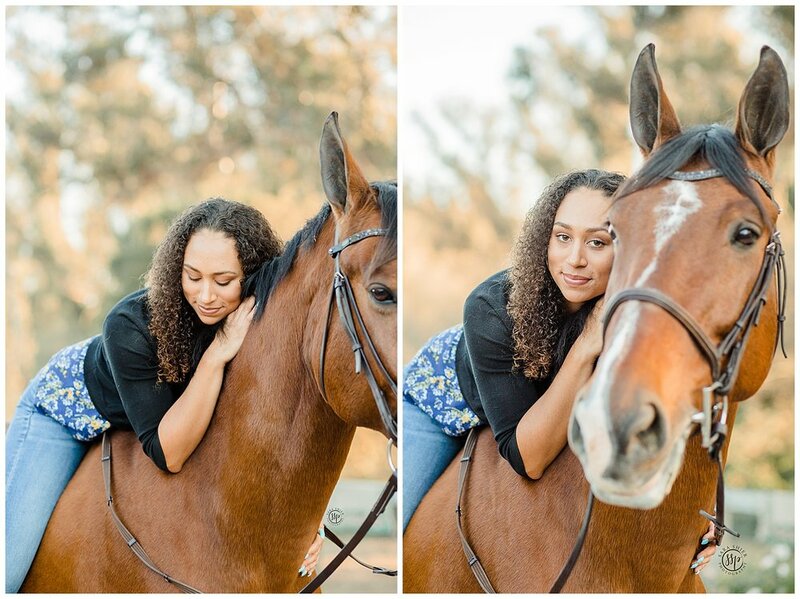 So yes, with Alexis thinking they were going to have to retire Duke, she started leasing a new horse Lucy, so lucky me in getting to photograph both of them! Truth is I was memorized by the two of them, Duke is HUGE! Mind you I’m 5’10'“ and still felt extremely small next to him! Then of course I have my soft spot for those grey warmblood jumpers who are in your pocket types like Lucy is! Obviously wanted to take her home with me! My favorite part of the entire session? I showed Alexis a shot (the last photo of this blog) from the back of my camera she paused, then screamed “WOW I LOOK SO GOOD” I died laughing but also know I accomplished my goal of making my girls feel like rockstars during their sessions! I hope each and everyone you know you are beautiful just the way you are, and I’m honored my job allows me to show you that!